All our timber venetians are custom made and built to last. 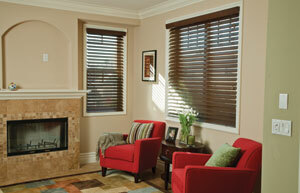 Venetian blinds are easy to operate and suited to formal or casual areas. The benefit of timber venetian blinds is that you have control over the amount of light entering your home as well as controlling your privacy. This is easily achieved by adjusting the slat openings. We offer venetian blinds in a range of in timbers such as Basswood, Pheonixwood and Western Red Cedar, in painted or natural timber stained finishes. 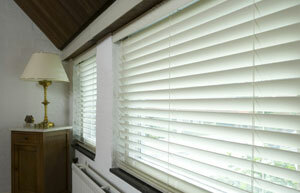 We also offer a timber-look venetian blinds made of a Polystyrene material, that offers a stable alternative to timber. Features of our venetian blinds include matching coloured valance and cords, and a range of décor tassels to suit any style or preference. Complete Blinds’ standard head box is superior because we use quality components. This provides a smooth, flawless, long lasting operation. Wooden blinds have been used for a long time because they are affordable and very easy to maintain. They offer privacy, insulation, good light control and security. They come in many different colors and some have a lacquer finish. Timber Venetian Blinds come with lots of benefits. They look very simple and they will always give you that homely feeling. Here are the 3 little known secrets about Timber Venetian Blinds that you would definitely want to know. They are simply stunning, stylish and beautiful. These blinds add character to your house and if you are looking for a window covering with an aesthetic appeal then your blinds should be Timber Venetian Blinds. 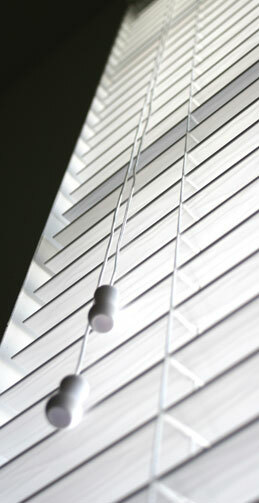 Timber Venetian Blinds also offer privacy. When the evening comes and the tint of your window is not good enough to protect you from being seen by strangers, you want a blind that will offer you privacy. Your private life is and should always remain your business and you don’t want to feel like a fish living in a bowl. Another thing is that it gives you just the right amount of security by not making all the items you have in your home visible to many outsiders. It`s quite evident that robbers want to get a good view of their targets so that they can make a plan. With Timber Venetian Blinds, they would definitely be hard pressed to come up with a plan or even to tell exactly what they expect to find in your house. They are also environmental friendly. They come in different design themes and the fact that they are made out of recyclable wood is indeed convincing. Timber Venetian Blinds offer one of the most effective ways to cool a room without going out of your budget boundaries. With these blinds, you don’t have to overwork your air conditioner because they give you just the right amount of insulation you need, and that means that you will be able to cut down on your electricity bills. Natural timber is also easy to manage because it is made of a porous material that ages gracefully. All you have to do to maintain these blinds is dust and clean them properly. Enjoy that warmly environment you have always dreamt of by fitting your house with Timber Venetian Blinds from Complete Blinds. Contact us today!